Description: Return to Castle Wolfensten ported on MorphOS by Mark Olsen alias bigfoot. Unpack morphosrtcw.lha to your hard disk and doubleclick the 'Installer' icon. The installation will begin automatically. 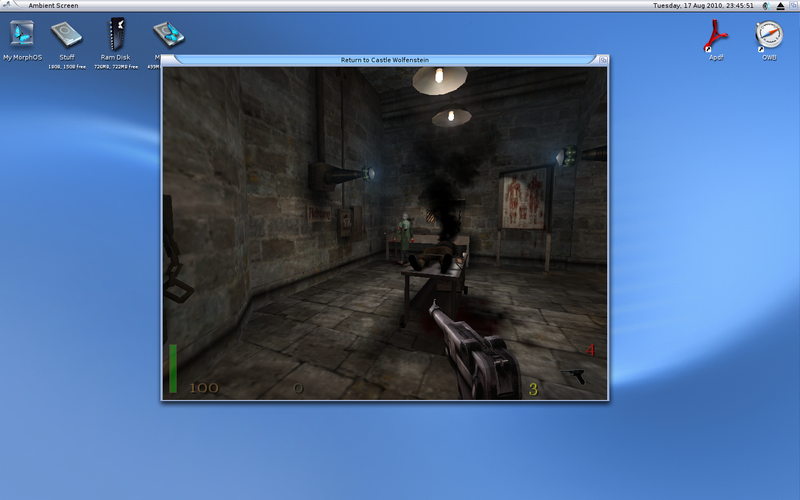 Wolfenstein are supported by the installer. 'Multiplayer' starts up the multiplayer mode of Return to Castle Wolfenstein. try that. The Return to Castle Wolfenstein server address is tunkki.dk.